Imperial Engineering is a distributor for Dana Spicer drivetrain components and drivetrain bus parts, one of the world’s leading drivetrain suppliers, and, as such, has access to its full range of drivetrain products. 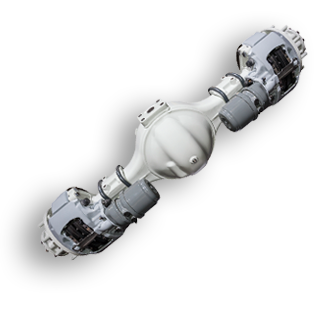 Serving London, Herts and the rest of the UK market, we are able to supply our customers brand new OE drivetrain components relating to front and drive axles for ADL, Wrightbus, Optare, Van Hool and VDL vehicles. It is important to note that Imperial Engineering are able to supply both complete drive heads (diffs) or the individual components that make them up via Spicer drivetrain. For more than a century, Dana Spicer has built a legacy of success with quality drivetrain solutions for bus and coach applications. Genuine Spicer drivetrain bus parts are manufactured to the same high standards as Original Equipment because in most cases, they are OE parts. Dana Spicer is part of Dana, a world leader in highly engineered solutions for improving the efficiency, performance, and sustainability of powered vehicles and machinery. Dana supports the passenger, commercial, public service and off-highway markets, as well as industrial applications.